While on vacation this summer I re-read Liz Wiseman’s bestselling book Multipliers: How the Best Leaders Make Everyone Smarter. Wiseman contrasts leaders who multiply those around them with leaders who diminish their teams. Multipliers energize the people they work with and Wiseman’s research shows they multiply productivity by a factor of 2 as compared to diminishers who stifle initiative, morale and performance of their teams. It’s why at The Flippen Group we always start our engagements by working in parallel on individual and group constraints. Pinpointing and then addressing a leader’s behavior that negatively impacts the group around them has a multiplying impact on the organization (sometimes simply by reducing the amount of diminishing!). Wiseman contends that while none of us set out to diminish the talent or contribution of those around us, we can all be accidental diminishers. 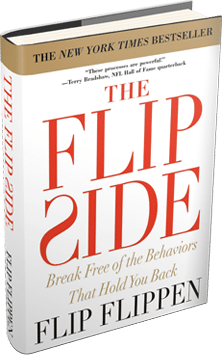 Our Flippen 360 Profile was a key tool in my own journey of understanding this. It’s crucial to have strong self-awareness, and when I first took the profile it was abundantly clear from my 360s that I had been inadvertently diminishing others. I used this information to build my TrAction Plan (one-page growth plan) that included steps like not interrupting people mid-sentence and listening (really listening) rather than just thinking about what I was going to say next! I’m definitely still on the growth journey, but with courageous friends and colleagues who are willing to be honest with me and an evolving TrAction Plan I have a pretty good grasp of the steps I need to take and greater awareness when I hit bumps in the road! It was easy for me to smile and recall leaders I have worked with who were multipliers and cringe as I thought of the diminishers. I’m grateful to those leaders around me who model what it takes to be a leader who multiplies, and I’m fortunate to work with many who do so every day. Challenge yourself to be a leader who multiplies those around you: get feedback either through a formal process like the Flippen Profile or through a candid conversation with someone close to you. Don’t be an accidental diminisher.